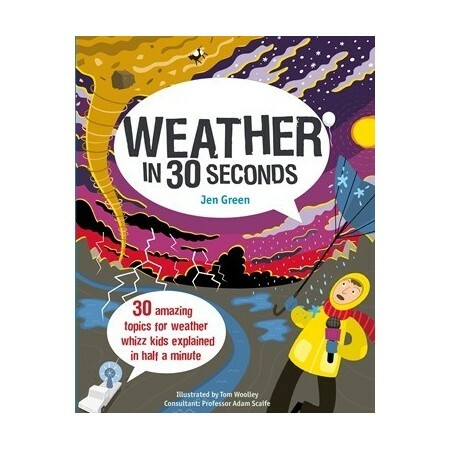 30 amazing topics for weather whizz kids explained in half a minute. Written by Dr Jen Green and Tom Woolley. 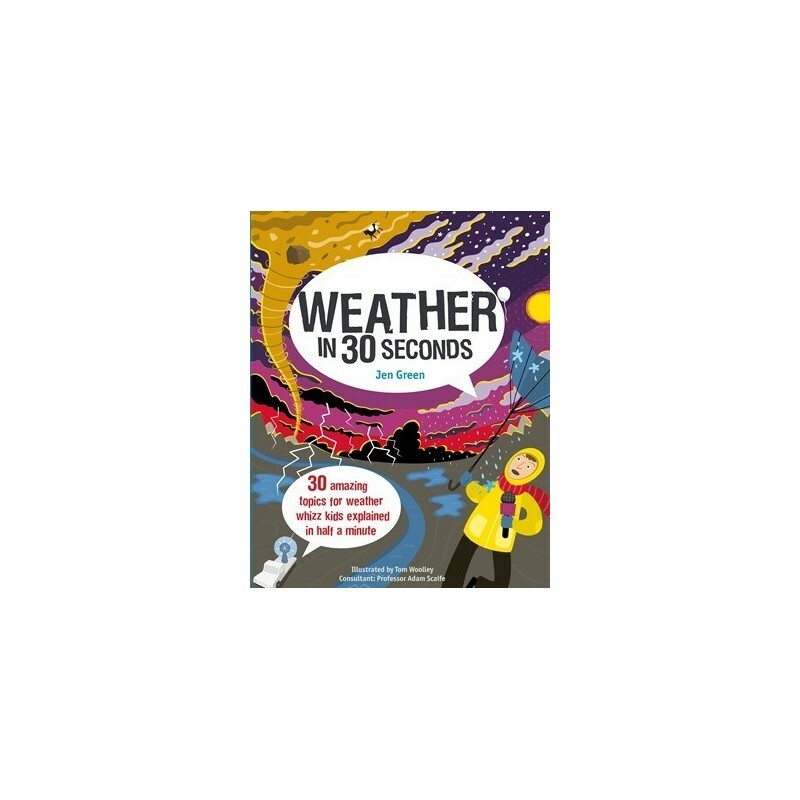 This book takes readers on a whirlwind tour of our planets weather and climate. 30 key topics explore and explain the how and why of our global weather and its effects, from atmospheric influences, the seasons, and climate zones to extreme events, forecasting, and global warming. Each topic is presented in a neat 30-second soundbite, supported by a 3-second flash summary and a full-page colourful artwork. Fun active missions support the topics and encourage kids to find out more. With stunning artwork, the attention-grabbing format is engaging and immediate, introducing readers aged from 8 up to this fascinating subject that affects all our lives. Written by Dr Jen Green and Tom Woolley. Paperback. Colour illustrations. 96 pages. 23cm x 18cm.